Just in time for Veteran’s Day! 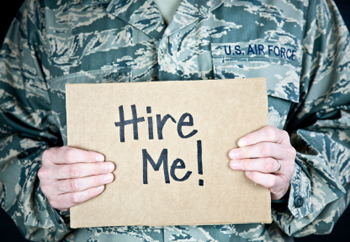 #Tchat hosted a great discussion last week in regard to helping veterans enter into the civilian workforce. Once again, the contributors had some great suggestions on how we can help veterans prepare for job hunting, gain transferable skills, and format their resume so it can be easily read by recruiters in civilian companies. I was happy to see the passion that these recruiters and human resources professionals had for helping the veterans get where they need to be when it came to landing a job. It would be wise for military branches to take a few months to properly prepare the veterans for the change between military life and civilian life. This includes helping them build necessary skills that will transfer into civilian work. RPOs, organizations, and staffing firms should take the time to partner with military branches and prepare available jobs for transitioning veterans. Veterans should seek help when it comes to gaining appropriate interviewing skills, job hunting skills, and resume writing skills. Companies should be open to helping them with this, even if it’s as simple as helping them reformat their resumes so they will have appropriate keywords that recruiters look for. Veterans should be taught how to build on their networking skills. Veterans should be educated on how to create a personal brand that they can use in face-to-face networking events, interviews, and even social media branding. Companies and veterans need to take the time to collaborate and bridge the gap between military verbiage and civilian business language so they can have equally understandable communication with clear messages. For mentoring and coaching opportunities, companies should pair new veteran employees with others who have made the transition in the past. Companies should make special efforts to seek out veterans, help them become aware of job openings they could be a fit for, and create social opportunities to discuss how the job and candidate would be a fit. There were so many great ideas in this chat that I simply could not name them all. We all hoped that these suggestions were inspiring and hopefully had started a helpful trend in this respect. You may review more of the suggestions, the recap, and additional tweets on this subject below.